The Historic Narrow Boat Club, formed in 1966, is a national boat club, dedicated to preserving the working heritage of our canal system, from the boats themselves to the waterways on which they travel. The Club passionate about working boats, traditional skills, the built heritage, and the practices and courtesies of the working boat people and is an active pressure group for navigational and waterway heritage interests. To encourage the preservation, restoration and use of working and ex-working narrow boats. To promote the maintenance of the waterways system to a standard suitable to facilitate the navigation of such boats throughout the year. To represent the interests of the users of such boats in their dealings with all waterway authorities and other relevant organisations. To promote awareness of historic narrow boats through an archive, website, newsletter and other activities. To promote and campaign for the retention and/or reinstatement of appropriate traditional and historical waterway furniture, features and working practices. To further its aims the Club's is active in campaigning on issues affecting the boats and waterways as well as meeting and consulting with relevant authorities. There are many events and rallies around the country throughout the year. 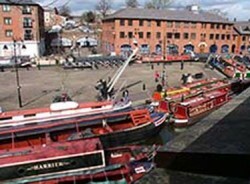 Some are organised by the Club and others are public events which are attended by historic boats. Discount offers on boating equipment. Access information in the narrow boat register and archive. Help and advice on craft maintenance etc. Twice yearly members’ meetings – the AGM in March and the winter social in November.